eggless mayonnaise recipe | veg mayonnaise recipe | eggless mayo recipe with detailed photo and video recipe. 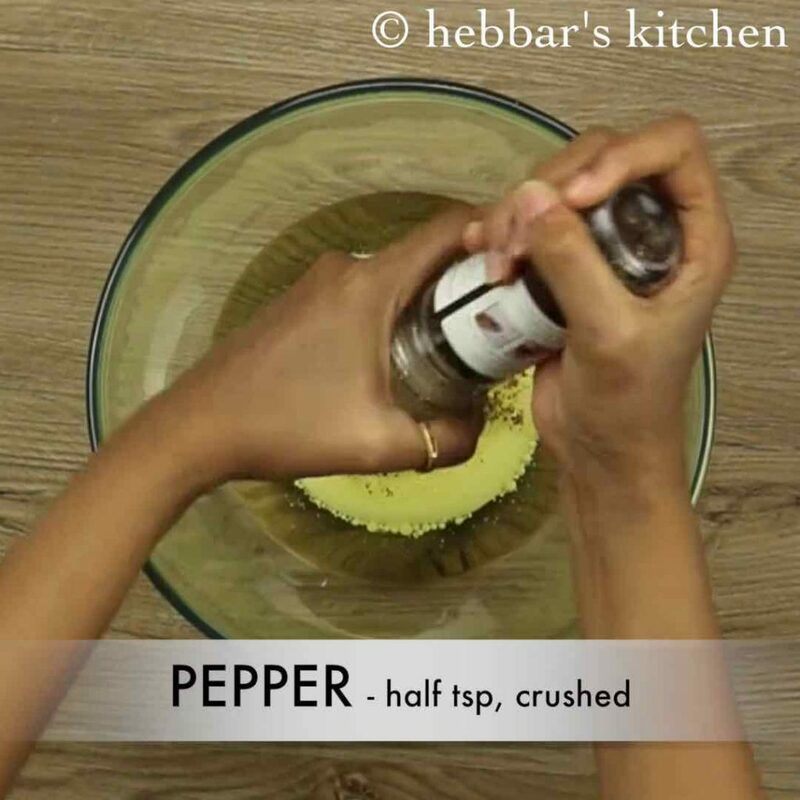 a thick creamy condiment used as a spread to sandwiches or as a dip to fritters or chips. typically mayonnaise recipe is prepared with egg yolk and oil, but this recipe is a mayonnaise eggless recipe and is prepared with milk. 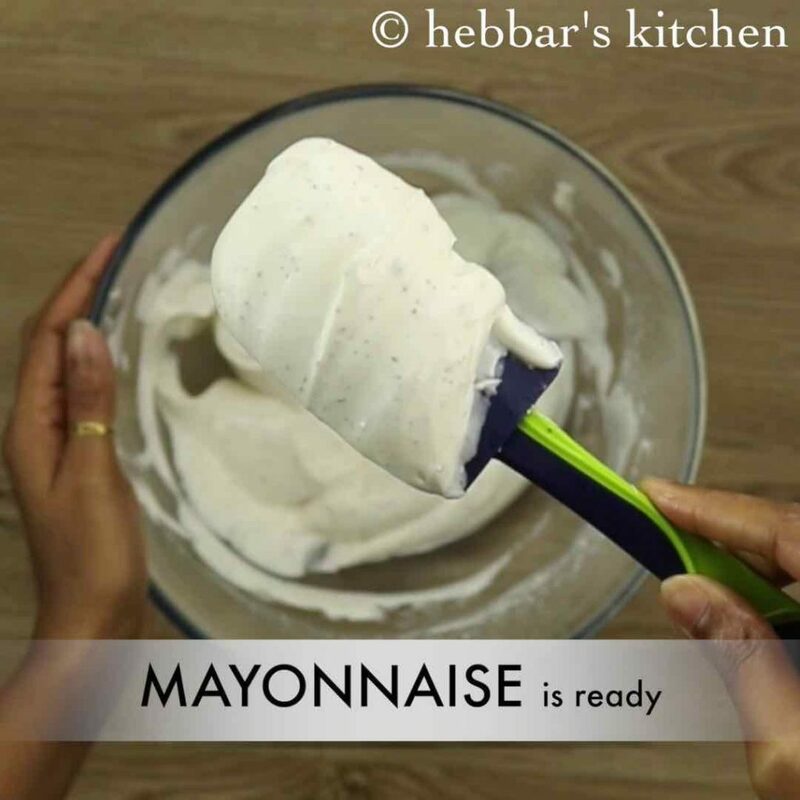 eggless mayonnaise recipe | veg mayonnaise recipe | eggless mayo recipe with step by step photo and video recipe. mayonnaise eggless recipes are an alternative to the traditional egg yolk mayo to those who avoid egg or allergic to eggs. 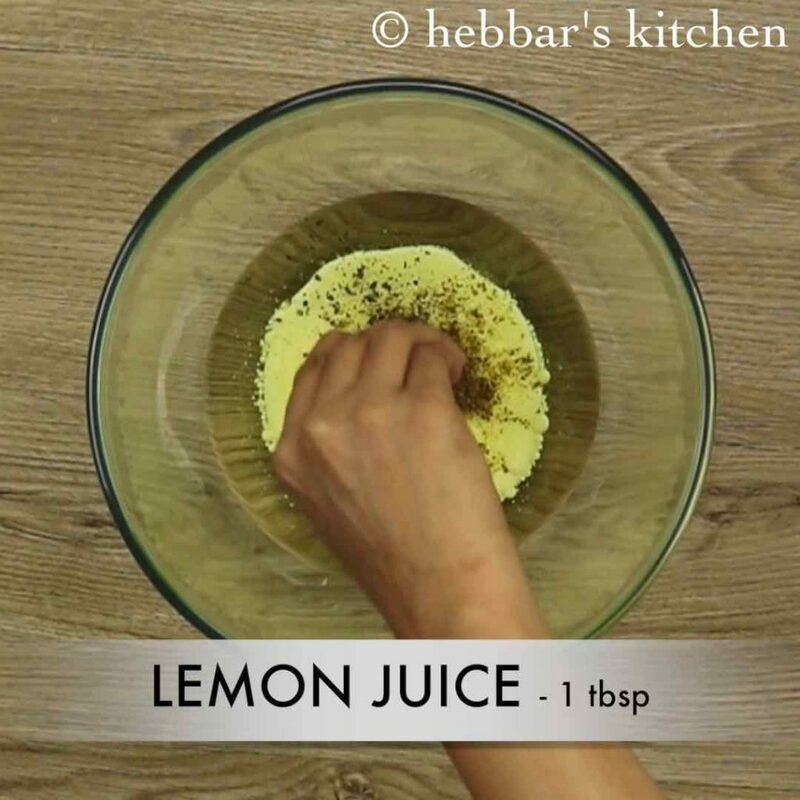 mayo recipes come with different variations and flavours ranging from garlic, mustard and herbs but this is a simple plain egg free mayo recipe. i have shared several sandwich recipes in which i had used this veg mayonnaise recipe. but i had never shared the eggless mayo recipe believing that it is easy to buy rather than preparing a home-made mayo. apparently eggless mayo is not easily available in india and i started to get several request for a simple no egg, no garlic mayo recipe. hence i thought to start a new section specifically for sauce – dips and i am starting with eggless mayonnaise recipe prepared in less than 10 minutes. 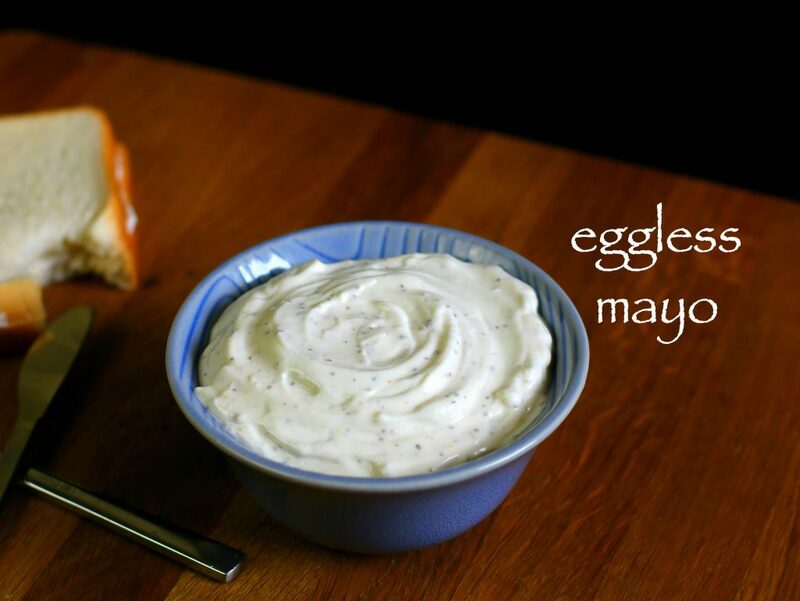 this is a simple eggless mayo recipe and it is extremely simple to prepare it. but some tips and suggestions for a a rich creamy mayo recipe. firstly, i have used hand blender to beat the oil + milk mixture. you can also use normal juice blender to get the same result. secondly, i have not added garlic to this home-made mayo recipe. if you add finely chopped garlic than you get a creamy garlic flavoured mayo which is also popularly known as aioli. lastly, do not forget to add vinegar + lime juice to this recipe. basically these 2 acts as a preservative to improve the shelf life. firstly, in a large mixing bowl or in a food processor take oil. further add milk. use full cream cold milk to get thick and creamy mayo. also add sugar, salt, mustard powder and pepper. additionally, add lemon juice and vinegar. this acts as preservative and helps to store mayo for longer time. 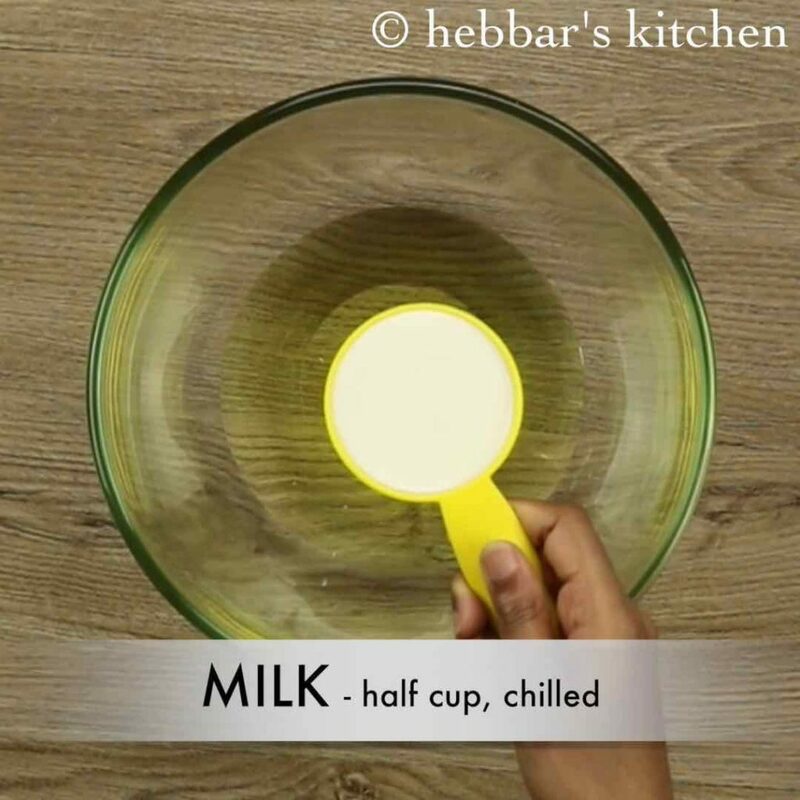 now blend with a hand blender or stick blender till the milk and oil combines. further, the mixture begins to thicken and emulsify. 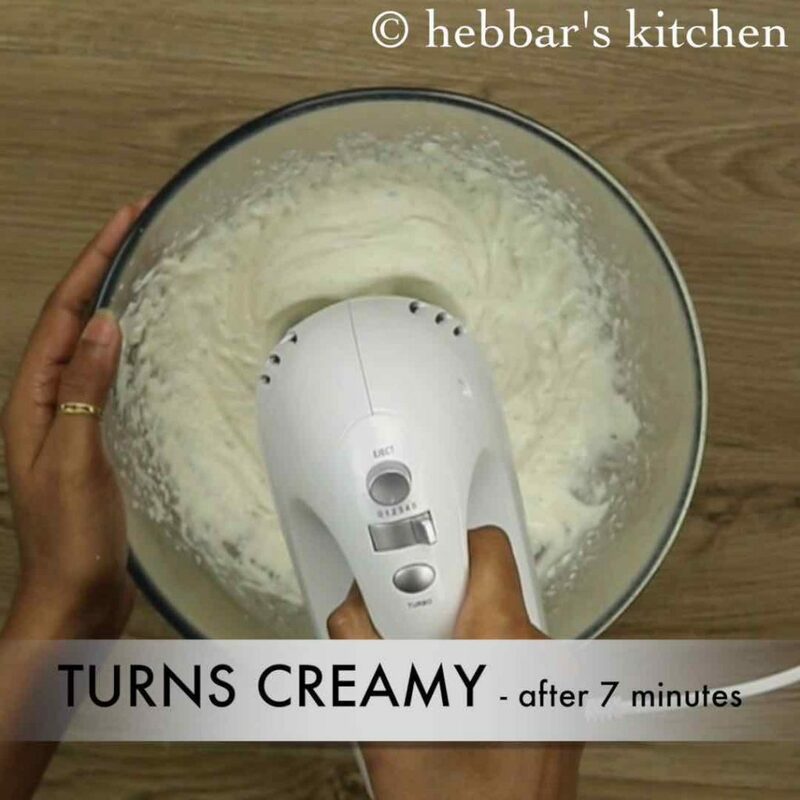 after 7-8 minutes the mixture turns thick and creamy mayonnaise. now scrape the bowl and transfer to a bowl or glass container to store. 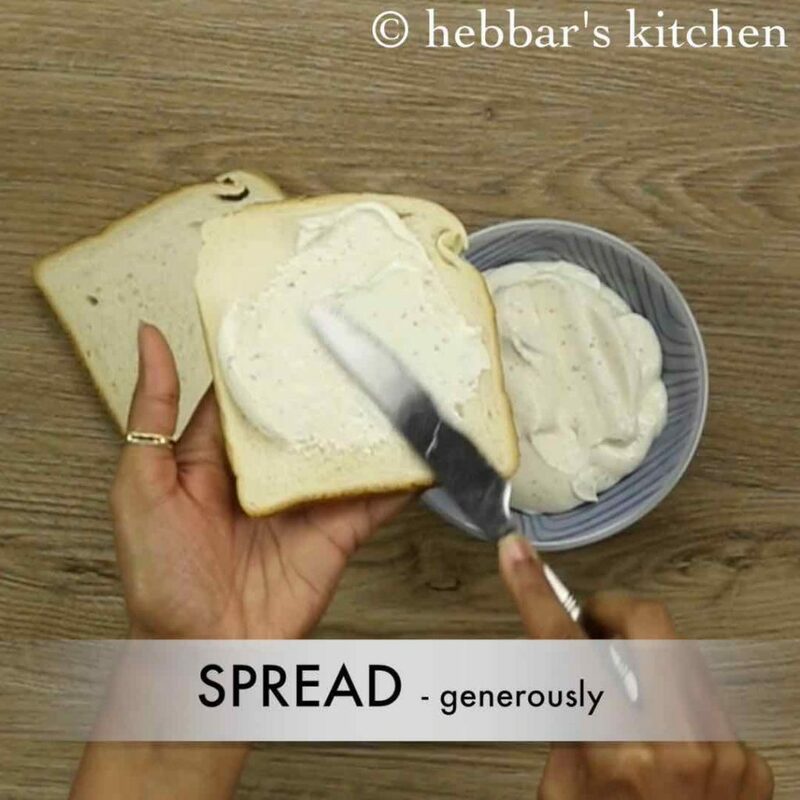 spread the eggless mayo over bread and serve. finally, eggless mayonnaise can be stored atleast for a week when refrigerated. further add milk. use full cream cold milk to get thick and creamy mayo. use soya milk to prepare vegan mayonnaise recipe. 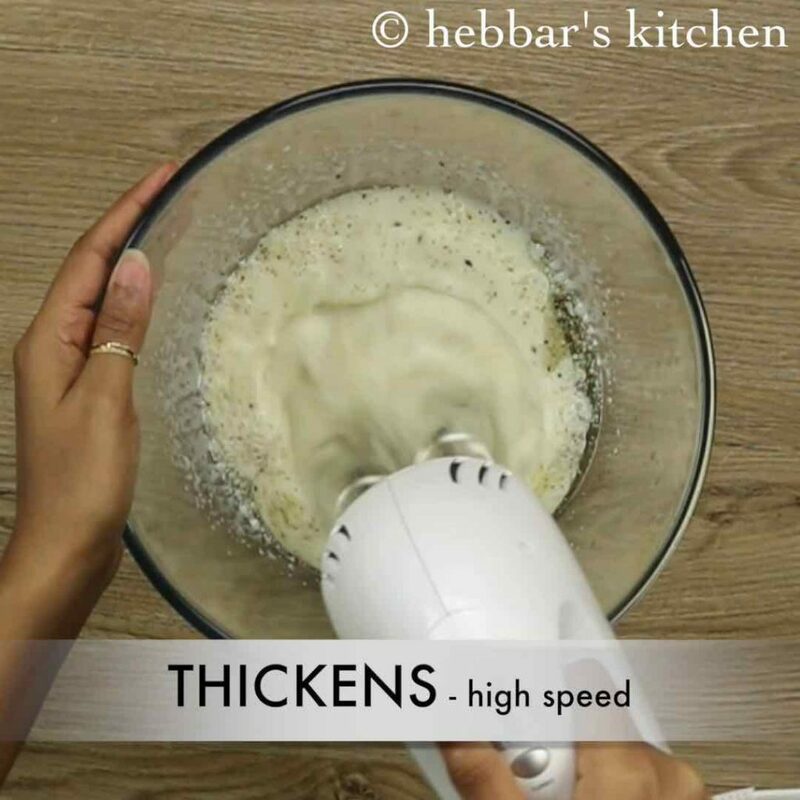 after 7-8 minutes the mixture turns thick and creamy mayonnaise. sometimes it takes a longer time too, be patient and keep beating till it turns creamy. using stick blender or food processor does the job quick. 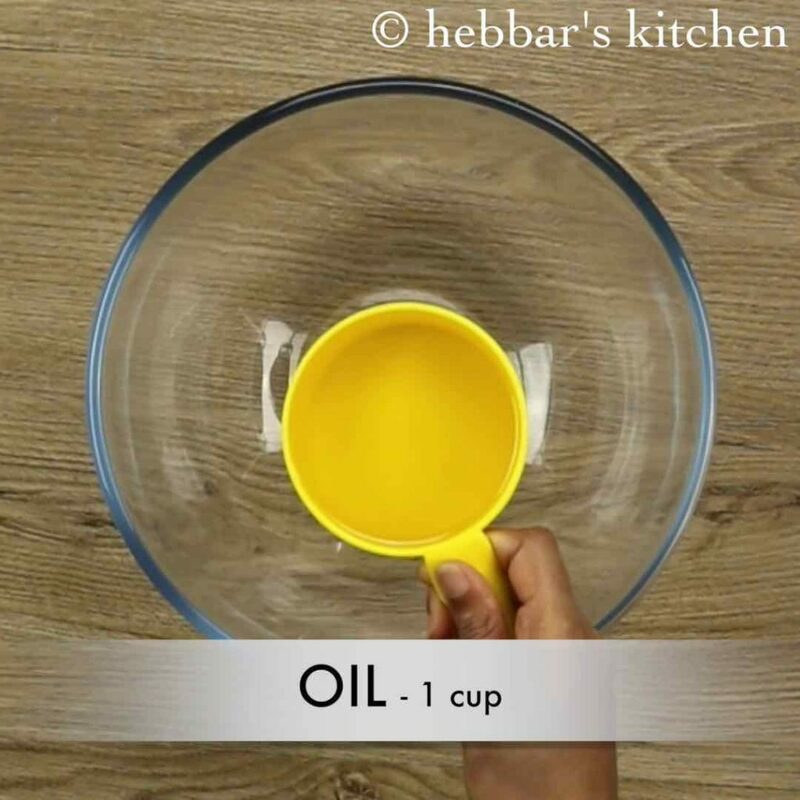 firstly, replace oil with olive oil if you are diet conscious. however, olive oil dominates the flavour. additionally, add garlic paste to make make mayo more flavourful. also, to avoid milk from coagulating use mustard powder. alternatively, use food processor, immersion blender, regular blender or whisk to prepare mayo. finally, vinegar and lemon juice acts as preservatives in storing eggless mayonnaise for longer time. Wow…nice recipe. Got rich n creamy home made mayo. Made it!!! Just wonder if can replace the milk with cooking cream? 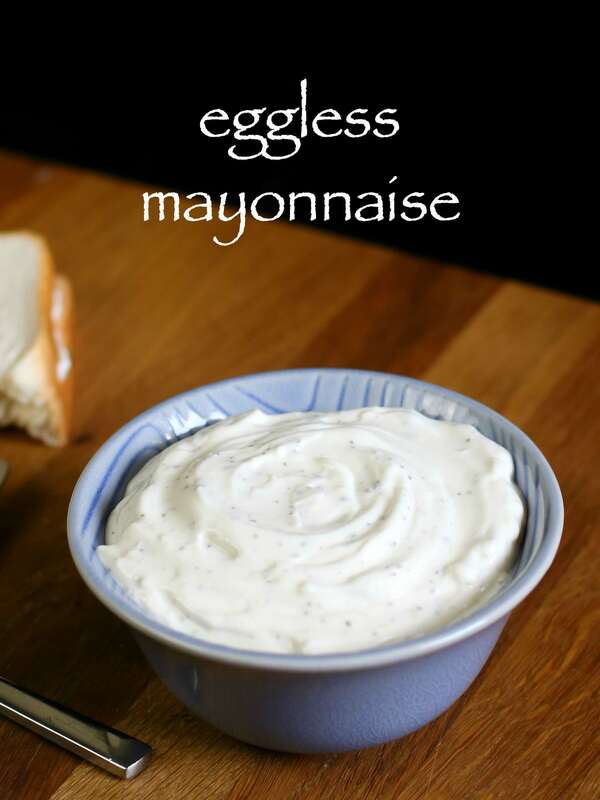 Best eggless mayo recipe I’ve ever tried! I used half cream and half milk and it worked wonderfully. Also added minced garlic and used smoked paprika in place of mustard. Can I use ground nut oil?? Peanut oil?? recommend to use neutral flavoured oil or olive oil.. Hi..I tried this with olive oil. Consistency was perfect,but tasted bitter. I guess it’s because of mustard powder, which I prepared myself using black mustard seeds. If so, which mustard powder to use for this? you can use yellow mustard seeds powdered..
How many days I can store? stays more than a month if refrigerated..
Hi.. I tried this with oliveoil and regular (nandini)milk. I added 1 tsp of sour cream. I blended in regular mixer grinder. It came out ok. Not very thin though. If I refrigerate it may thicken. But no complaints..loved it.. I like ur each and every recipe and I tried it also it’s come out very well.thank you so much for sharing this recipe…..
Can I use ground nut oil ? recommend to use olive oil or vegetable oil as they are neutral flavored..
What is full cream milk called in Kannada? full cream milk andre dappa haalu..
Hello, should we refrigerate it or is it ok to keep it outside? recommend to refrigerate for greater shelf life.. I did it… Thankq for share this recipe… it’s excellent taste.. I did it.. Thankq for share this recipe… it’s excellent taste!! We should use boiled n cooled full cream milk na mam? hi actually it’s doesn’t work me. it never thickened. I am using my orpat hand blender n started with a slow speed n gradually increased the speed. It didnt turn out as thick as the readymade one. I beat it for more than 5 minutes then my blender got extremely hot so i stopped. Is it ok to take break and again blend it? what blender did you use? also did you use full cream milk? It didnt turn out as thick as the readymade one. And my blender got very hot so i stopped blending it more. Is it ok to take some break and again blend it? what blender do you use? Also did you use full cream milk? I accidentally used skimmed milk the first time and naturally was very runny. The second time around I used full cream milk and it turned out quite well. But the flavour wasn’t as good as the store-bought mayo, any suggestions on it? Anyway, thank you for the great work that you do, your format of presenting the recipe is what inspires most of us to make it. After reading all the comments I tried this recipe. It flopped the first time and did not thicken…..I realised I had not used full cream milk…..which I used the second time and it thickened well. I used regular soya oil …it worked well. I have also made this with soya milk which worked even better….added fresh garlic….improved the taste dramatically…. Worked well for me! I used my regular mixer grinder. so sorry to hear that. i would suggest you to use narrow cylindrical blender next time. basically it would apply more pressure from sides. what blender did you use? Is it a Raw milk or boiled. Which oil did u use plz name the oil. i have used normal cooking vegetable oil for this recipe. Hello what kind of blender did you use? I beat the hell out of this oil and milk mixture with a handheld blender but it did not turn thick and creamy as shown here even after 25 minutes after which I gave up. All I got at the end of this ordeal was a very hot blender and a lot of extra utensils to wash. What a waste of time, effort and ingredients. One good thing I got out of this is, now I know i will never try this again. Just buy store bought. I am not saying this is a bad recipe. It just didn’t work for me and I don’t see how it will work for me if i try again. the key factor here is blender speed. 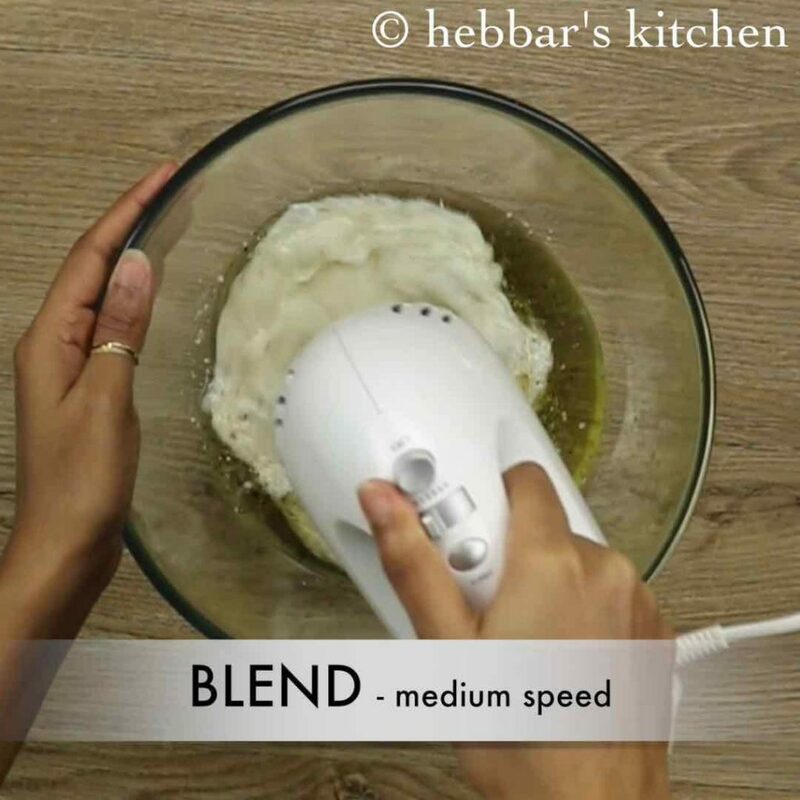 the mixture has to be blended in a high speed. perhaps if you have mixer jar with narrow base, you can see the result within minutes. mayo in pasta? are you talking about sandwich? I tried this receipe, but it never got thick n creamy even after blending for 40 minutes. How to get think creamy milk.? Please advise. Hi, I have tries this recipe. Did not work for me. After whisking for 15 mins also it did not get thickened up. what type of blender did you use? do you have a mixer or juice blender? try using it? you should be able to make. it.